1. 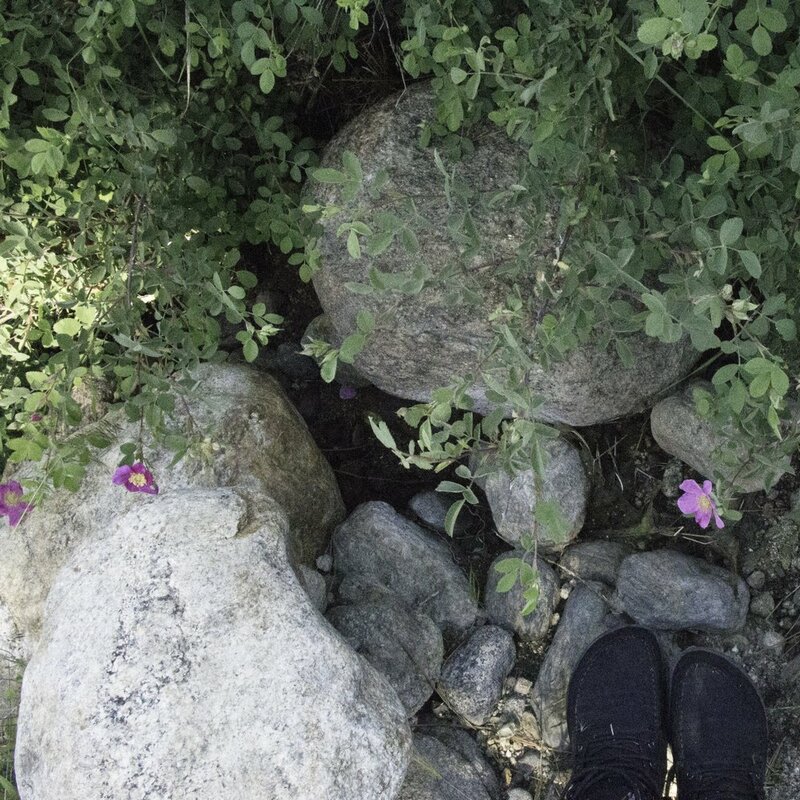 Walking barefoot around cacti= I must be missing brain cells. Yes, I've stepped on thorny bits. Yes, it hurts like hell. 2. Sometimes you get prickly bits stuck in your shoes and don't see them. Then you put your shoes back on. See above. With thick rubber gloves on, the tunas come right off, and the little fuzzy thorns don't get you. You can also rub them back and forth in your hands before throwing them in the bag. I collected as many as I could. The bag was heavy. Nobody else would carry it, and I felt like Sisyphus all the way home. This jam is amazing. It's sweet and slightly tart. It's got a fresh flavour slightly remniscent of watermelon or Jolly Ranchers. It's amazing. And unlike anything I've ever tasted before. 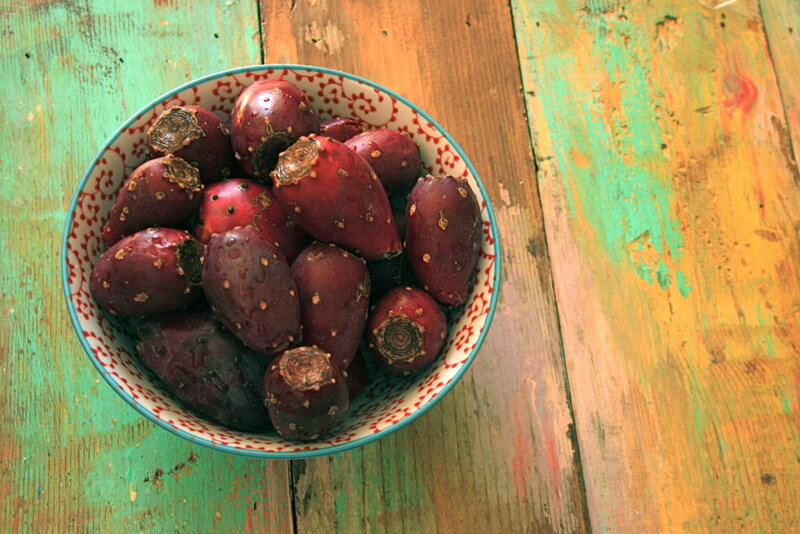 The prickly pear fruit is filled with seeds, so first off it's necessary to strain the seeds out. Do this by pressing the mashed fruit through a sieve. You'll have a bright pink liquid. About 4 cups of it or so. Bring it to a boil, and add the sugar and lemon juice. Boil for a couple of minutes, then remove from heat and allow to cool. Preheat the oven to 500, and put in the jars you'll be using (without the lids). Once the jelly is room temperature, pour in the calcium water and pectin, and bring back to the boil. Remove from the heat, and immediately spoon into the boiling hot jars. Seal, and process in boiling water for ten minutes. By the way, my friend Butter just wrote a post about tunas too. Check it out here! This post is shared at Real Food Wednesday and Pennywise Platter Thursday.